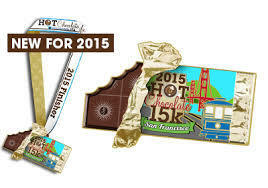 The Hot Chocolate 15k/5k went off on Sunday, January 10 in San Francisco. 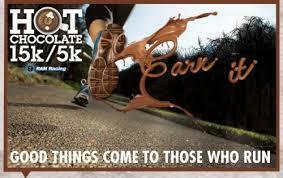 As a road race, what could be expected of an event that centered itself on chocolate rather than a beer at the finish? Is there any seriousness in an event like this? In short – Yes. 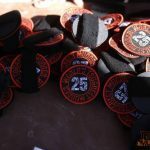 One thing that makes a race successful even before the gun goes off is how the registration and event information is handled. In the case of the Hot Chocolate Run, the simple website enabled for each city’s event provided a simple registration process and clear information on every aspect of the event. Communication was further simplified by timely emails that were sent leading up to the event. In the case of this year’s event, the closure of the Golden Gate Bridge the morning of the race was clearly advertised on their site and through email making transportation arrangement easy to adjust, assuring you arrived on time. 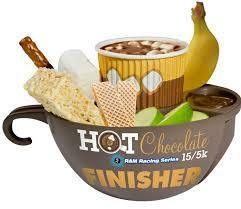 Well done Hot Chocolate Run. This event like other required that your packet was picked up prior to the race. No race day packet pickup was available. While this can be frustrating and time consuming, once you arrived at the venue, it was clear why this was done. 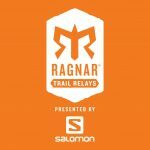 Thousands of runners attended and managing check-in and packet pickup would have been a nightmare for the event organizers as well as the racers. What made the packet another well done component of the overall event, was the inclusion of a bag (useable on race day), a sweater (vs a shirt at the finish), and a little piece of chocolate (just to get your thirst for chocolate started early.) This packet provided enough to get you excited about the event. Upon arriving at the event, the SF Park that housed the tents, was well labeled. Information booths were clearly marked as were tents for bag check and your finishing chocolate. Bag check was part of your registration fee (so free at the event) and every tent was well if not over staffed. This made for a quick and friendly experience at every tent. 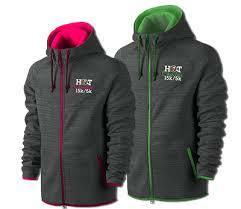 The event was divided into two race distances, a 5k and a 15k. 7800 people raced the 15k and 4700 people raced the 5k. Those are serious numbers! The Hot Chocolate Run did a great job of managing all of these people by building corrals based on expected mile splits (submitted at registration.) This assured that those in front of you were moving faster than you allowing the pack to be freed up in front of you. A three minute delay between corrals waves accented this freedom. Your corral letter was on your race bib and if you needed to move to a different corral- fine – just move back, not forward. If you raced in the 5k your heat time was an hour before the 15k group. What this meant is that there were two race distances. 5k runners would not have to contend with 15k racers and 15k racers did not have to pace against 5k racers. Also as a 15k racer you had a clear shot of the course without the possibility of a 5k race pack restricting your course. The course was well charted, USATF-sanctioned and certified for accuracy. Better yet, the event organizers took you though beautiful Golden Gate Park allowing everyone to experience portions of the park that even some SF natives may not have seen. The race began in the park with a slight but significant downhill and then exited the park and proceeded along the coast for a 4 mile out and back before retuning into the park. The race finished with a return up the slight but significant hill making sure every runner earned their finish. But was it a serious race? Race conditions could not have been better. With no breeze, damp air and temperatures in the low 50’s times would be fast. The top 15k finisher finished in 45:30 and top 5k finisher at 16:32. That is a sub 5 minute mile pace and one that I would say is serious. So as expected the front pack went out with a bang and maintained that pace throughout the race. For those less interested in racing, groups of runners at all levels and paces appeared to be enjoying the event. Keeping with their sweet theme, the course was well stocked with water and Gatorade stations as well as sweet stations. For a serious runner you were likely to grab a water from the numerous hands (very well staffed) offering you fluids but unlikely to stop for a chocolate marshmallow or Tootsie Roll. But for those running the event for the experience, these were extremely nice accents to the events theme – tasty as well. At the finish you were welcomed with the expected banana and water in addition to the rarer Gatorade and bagel. But what was a shift from most events, is that as you finished, the announcer called out your name and location. This really personalized the event. 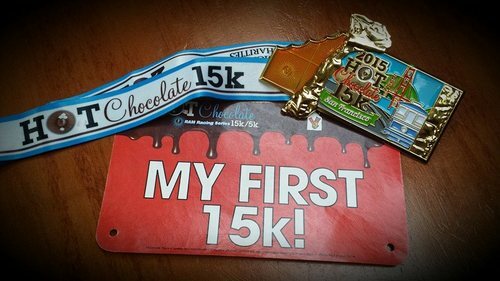 In addition the finishing chute was large, long and allowed for you to “walk it off” before heading out for your finishers cup of chocolate. Once you left the race, you got to walk a short distance to pick up your Finisher Mug which was filled with “chocolate fondue, dippable [(such as Rice Krispy treats, chocolate pretzels and marshmallows)]snacks and decadent hot chocolate.” While not a beer and not necessarily what you want to finish your race with, this mug was unique and a lot more memorable and fun than a beer you would never order at your local pub. Overall this was a extremely well organized event from start to finish. The avid road racer and casual runner all had a place at this event and the uniqueness encouraged anyone out. The course was well designed and supported which makes running the miles more enjoyable than blan city streets. 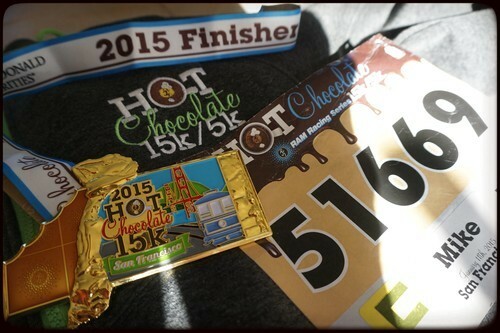 Due to its organization, course design and uniqueness, I would highly recommend signing up for either next year’s SF Hot Chocolate Run or a Hot Chocolate Run in your city.